Got questions? We have all the answers... well, so long as your questions are about getting to the airport on time. You won't find the meaning of life here! If you can't find the answers you're looking for, please contact us. How long should I allow for customs processing and will I reach your Shuttle on time? Our timetable is designed to suit AirAsia and Flyscoot arrival times and allow enough time for standard customs processing. If your flight is delayed it is really important for you to make your way as quickly as possible to baggage and customs and to contact the driver (details will be provided on your ticket) so he knows to wait for you. Is your shuttle the cheapest way to get to the Gold Coast Airport? We are the cheapest airport shuttle service offering door to door transfers between Brisbane and Gold Coast Airport. We can offer such cheap rates because we have perfected our operation so that it runs very efficiently. We have lots of repeat passengers that use us regularly because of our affordable, friendly and reliable service. Does your AirAsia bus meet the Air Asia flights at the Gold Coast Airport? Yes! As the official bus of AirAsia our timetable is designed to meet the AirAsia flights at the Gold Coast Airport. We offer shuttle bus services for D7200 and D7201 and private transfers for D7206 and D7207. Does your Shuttle meet all Flyscoot flights at Gold Coast Airport? Yes, we meet all Flyscoot flights at the Gold Coast Airport and can take you to your residence, hotel or a bus stop location in Brisbane. Do you offer a door to door service at my house? We offer a door to door service to over 150 locations between Brisbane and Gold Coast to and from residential addresses, hotel/motel accommodation, the Gold Coast airport, Brisbane Airport and Brisbane cruise ship terminals. You can check our full list of suburbs where we offer door-to-door service on our locations page. Do you have a shuttle to suit my AirAsia or Flyscoot flight departing from Gold Coast Airport? Yes! Our schedule is designed to suit AirAsia and Flyscoot flights departing the Gold Coast Airport. Our morning shuttle arrives at the Gold Coast Airport before 7am and our evening shuttle arrives at Gold Coast Airport by 8pm which is perfect timing for AirAsia and FlyScoot check-in requirements. Do you have a shuttle to suit my AirAsia or Flyscoot flight arriving at the Gold Coast Airport? Our timetable is suited to most AirAsia and Flyscoot flights arriving at the Gold Coast Airport. All prices are shown in Australian dollars and include the Goods and Services Tax (GST). How will I find you at the Gold Coast airport? We meet all pre-booked passengers in the International Arrivals area. Our driver will be inside the terminal approximately 30 minutes prior to booked shuttle departure time. Our driver will be wearing a Link Transfers uniform and holding a sign-board. Please call 1800 192 770 or txt message +61432868748 if you can’t locate the driver. We ask that you turn your phone on as soon as possible so our driver can contact you if necessary. Our meeting point is next to the exit to the Transit Centre/Bus and Coach Park. Please wait INSIDE the terminal. Please do not go outside the terminal. What time will I be picked up or dropped off? You can check our timetable page or booking system for approximate pick up and drop off times. Your pick up time will also be printed on your itinerary. For our shared shuttle we can’t give exact times, instead your itinerary will show a time frame such as 05:00am – 05:20am. Please be ready and waiting 5 minutes prior to the start time, our driver can pick you up anytime within this time frame. You are more than welcome to phone the driver to check estimated time of arrival on the day. Nothing, they are both the same airport but some people still call the Gold Coast Airport by its original name of Coolangatta Airport. Coolangatta means “Place of Good View” in Aboriginal. Some itineraries will refer to Coolangatta Airport, OOL or Gold Coast Airport but they are one and the same. How long does it take to get from the Gold Coast Airport to Brisbane? This depends on where in Brisbane you need to go. On average it takes around 1.5 – 2 hours from the Gold Coast airport to most of our Brisbane drop-off points. It is approximately 145km from Gold Coast Airport to Burpengary (suburb North of Brisbane). Is there a special meeting place at the Gold Coast Airport? We will meet you in the International Arrivals Hall where our driver will be waiting in uniform and holding a Link Transfers signboard. If you can’t find our driver you should call our office on +61433995455. Please wait INSIDE near the exit to the Transit Centre/ Bus and Coach Park but do not go outside or leave the terminal. If you are flying with Air Asia or Scoot airlines we will be aware of any flight delays. We will most likely have other passengers in the same situation too, so in most circumstances we can wait for you. We ask that you make contact with our driver as soon as you land to keep us informed. You must contact our driver as soon as possible to inform us about the delay and we will wait for a short time to allow you to board our shuttle. Our departure time has been designed to allow for possible delays however, we cannot make other passengers wait for significantly long times at the airport so on the rare occasion where the bus has to leave without you we will provide information about alternative forms of transport. If you miss the shuttle due to issues outside our control you will need to seek recourse from the party responsible for the delay. We strongly recommend you take out travel insurance to cover such incidents. We ask that you provide as much notice as possible if your flight is cancelled. You can expect a refund (less admin fee) if you provide more than 48 hours notice. What should I do if I have not been picked up by the time stated on my itinerary? We always allow plenty of time on our schedule to get to the airport on time. We aim to arrive at your location at the time stated on your itinerary but because we are a shared shuttle with varying locations it is hard to set an exact pick up time. If your driver has not arrived at the time specified on your itinerary you are welcome to phone him/her and check how far away they are. We understand how important your travel plans are and can boast that we have delivered thousands of passengers to the airport with 100% making their flights on time. What if I’m running late or I slept in? If you are running late or have slept in you must make contact with our driver as soon as possible. As a shared shuttle we have a responsibility to ensure all our passengers reach the airport in plenty of time for their flights so it is very important that you are ready to board the bus at the time specified on your itinerary. We understand that travel plans can change so as long as you give us 48 hours we will refund your payment (less a $20 administration fee). We do not offer refunds for no-shows or if you fail to give adequate notice. Due to privacy laws airlines cannot confirm whether passengers have boarded their plane so if you do not call the driver to notify of your delay we cannot be sure if you boarded the plane and will not know if we should wait for you. Yes. You must pre-book all Brisbane to Gold Coast airport transfers to reserve your seat. To reduce travel time between Brisbane and the Gold Coast we will only stop at bus stops that have been pre-booked. We suggest booking well in advance as our shuttle does book out, especially on weekends. You can book online as little as 6 hours ahead of your travel time or phone us for last minute bookings, however we strongly recommend that you book well in advance as our seats often book out, especially in peak season and on Fridays, Saturdays and Sundays. We accept mastercard, visa, debit cards, electronic funds transfer, cash and bartercard. Do I need to book under my legal name or the name shown in my passport? There is no need to book under your legal name. If you have a shortened name or an English name that you are known by you are more than welcome to book under that name. Do I need to provide Airline, flight number and departure/arrival time when I book your shuttle? No, it is not compulsory to make a booking, however it is very useful for us to know so we can monitor your flight and be aware of any delays. I want to reserve my seat but my accommodation isn’t confirmed, how can I book without supplying an address? You can make changes to your booking anytime up to 48 hours prior to travel without incurring a charge so if you are unsure of exact address details when booking you can select a location where you think you will be staying and then update your address details as soon as they have been confirmed. Why haven’t I received my confirmation or itinerary by email? Your itinerary will be sent to the email you provide on booking. If you haven’t received your itinerary within 30 minutes of booking please check your spam or junk folder, check that the email address you provided is correct and if you haven’t located it send us an email or phone us and we will resend it to you. If you don’t have access to a printer it is not necessary to print your ticket as we will have your details recorded on our manifest. You will be required to quote your confirmation number and we may ask for identification. If possible we prefer you do print your tickets as it contains important information including our drivers phone number. Some passengers hold up their tickets as they exit customs so we can easily identify them. An itinerary will be emailed to you immediately upon booking, please check the itinerary for accuracy or advise us if you did not receive it by email. If you have made a mistake or require a change you can login to your account and make changes up to 48 hours before your transfer (subject to availability) without charge at https://bookeo.com/linktransfers/customer. We are not responsible if you miss your transfer because of your failure to check itinerary for accuracy. Will I receive a text or confirmation the day before travel? We use a very efficient booking system that has proven the most reliable way for many thousand passengers to get between Brisbane and Gold Coast Airport. Be assured that once you have received your email confirmation you are booked on our shuttle bus and our driver will know to collect you. For pick ups from Brisbane we will text you approximately 10 hours prior to your transfer to confirm your booking and pickup time. Passengers arriving from Gold Coast Airport for transfer to Brisbane locations will not receive a confirmation text however you are more than welcome to confirm your booking by calling or emailing our office. Can I bring my Surfboard or Snowboard? Yes, we can carry surfboards and snowboards. If you are bringing a surfboard or snowboard you must notify us when you book so that we can make arrangements for it. Please specify size if possible, we can take most long boards. Yes, you can make changes to your booking anytime up to 48 hours prior to travel free of charge, however if your change alters the price of your fare you will be asked to pay the balance. What vehicle will you pick me up in? We operate different vehicles according to passenger numbers, day and time of transfer. All vehicles are modern, reliable, air-conditioned and have seat-belts. Do all your coaches have seat belts? Yes, all our vehicles are fitted with seat belts. Yes, all our vehicles are air-conditioned. Do you provide child restraints or baby seats? Yes we can provide infant capsules and booster seats. Please let us know your requirements in the notes section when booking. All our vehicles have comprehensive insurance, compulsory third party insurance and are covered by $20 million public liability insurance. All our vehicles are inspected by the Queensland Government at least every six months to ensure they pass strict safety standards. Yes. The Queensland Government has strict licencing requirements for passenger transport services. Link Transfers is fully licensed by the Queensland Government. All drivers are accredited by the Queensland Government to drive a public passenger transport vehicle. 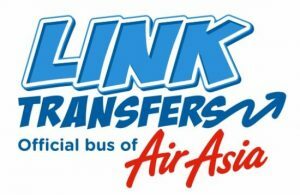 Link Transfers is also authorised by the Gold Coast Airport and the Brisbane Airport to operate a public passenger service. Our official office hours are Monday to Friday 8am-6pm however you can often reach us after this time on mobile. Yes, passengers are strongly advised to purchase travel insurance prior to departure. What is your travel pack promotion? To make your trip with Link Transfers even more comfortable we are giving away a FREE travel pack, including a neck pillow, ear plugs and eye mask to anyone who likes us on facebook. You must type ‘facebook friend’ in comments section when booking. Please remind our driver that your are a facebook friend and he will give you a pack (*subject to availability and while stocks last). There are a number of service providers in Australia and they offer varying plans, rates and coverage. Our 3 main providers are Telstra, Optus and Vodafone. Vodafone offer excellent International calling rates however their coverage is not as wide. You can purchase a SIM card from phone shops in shopping malls. Some supermarkets, corner stores, post offices and 7-Eleven service stations also sell them . You will need identification and know the Australian address you will be staying at to activate the SIM. Where can I send my testimonial? Our drivers are encouraged and rewarded for their commitment to excellence so if you would like to provide a testimonial or compliment a driver feel free to do this by email or why not post on our facebook page to share with others. We welcome all feedback! We love to know what we are doing right and what we need to improve on. If you would like to comment on any aspect of our service please send us an email or call us. Please review us on Facebook, Truelocal, Trip Advisor etc too. Do you offer a door to door service or just a bus stop route? Both, we offer both door to door service and bus stop services to over 60 locations from Brisbane to the Gold Coast. Yes! We are a very affordable option for travel between Brisbane and Gold Coast Airport and we also offer discounts for groups of 4 or more. The discount will automatically be applied after you provide booking information and select your preferred service. What age is your children’s rate? Children’s rates apply up to 12 years inclusive. We provide booster seats and infant car seats free of charge. Please request this in the notes section when booking. Do I have to pre-book or can I just turn up at the departure locations? Bookings are essential as the service does not stop at locations where there are no bookings. What is your bus stop service? We have many central and convenient ‘bus stop’ locations where we can meet you. These central meeting points/bus stops are offered at a reduced fare and are well-lit and easy to find. A list of our bus stop locations with photos can be found on our locations page. The bus will not stop at all stops, only those that have been pre-booked. Should I phone the driver on the day of my transfer? Please only call the driver on the day of transfer if you can’t locate him, if you are unsure about your collection time or in case of emergencies. Otherwise please call our office on +61 433995455. Can I wait inside my house for the door to door service? You must wait outside your door, at your letterbox or road-side and be fully ready to leave when our bus arrives. What is a door to door service? It is often more convenient to be dropped off or picked up right from your door, especially after a long flight, if you have a lot of luggage or if you don’t know the area very well. Our door to door service covers over 60 locations between Brisbane and Gold Coast. We offer door-to-door service to residential addresses, hotel/motel accommodation, airport and cruise ship terminals. We ask that you be waiting at your letterbox or roadside for pick up 5 minutes before your scheduled pick up time. We do not drive up driveways as this is not possible with our bus or luggage trailer. What if my address isn’t listed? Our airport shuttle covers many locations throughout Brisbane and the Gold Coast but to keep travel times down not all suburbs are serviced door-to-door. Some suburbs will only have central bus stop locations. If you specifically need a door to door service in a suburb that’s not listed you can call us or send an email and we will try to assist you. Please do not chose a suburb that is ‘close-by’ but not your actual suburb as you will need to get approval for areas outside of our standard route. Where do you pick up from and drop off to? We cover many locations from Burpengary in the North of Brisbane through to the Gold Coast Airport in Coolangatta. You can check whether we offer a service in your area on our locations page or search for your suburb in our online booking system. Our pick up locations include Brisbane CBD, Kelvin Grove, Mt Gravatt, St Lucia, Indooroopilly, Sunnybank, Toowong, Springwood and MANY MORE. If you can’t find your location please email us so we can direct you to our closest bus stop. In some circumstances we will offer door to door services outside of our set area by request (suburb surcharges may apply). Do you pick up from Brisbane or Gold Coast Hotels? Yes, if your hotel is located in one of our listed suburbs we can collect you from your hotel, motel, apartment, back-packers or university accommodation. Can you take me to the cruise terminal? Yes, we also offer cruise terminal transfers. What airlines do you service? We service many airlines including AirAsia, Scoot, Jetstar, Qantas, Air New Zealand, Emirates and Tiger. We specialise in AirAsia and Scoot flights arriving and departing the Gold Coast airport to and from Kuala Lumpur, Malaysia and Singapore. Our timetable is suited perfectly to meet the Air Asia and Scoot flights including the early morning and evening flights. We also service Jetstar flights to Osaka, Tokyo and New Zealand and many other domestic and international flights. Link Transfers provides shuttle bus transfers between Brisbane locations and the Gold Coast Airport. We are the official bus of AirAsia and our timetable is specifically suited to flights with AirAsia at the Gold Coast Airport Coolangatta, however passengers from all airlines are welcome to travel with us. We also offer private transfers, hotel transfers, cruise terminal transfers, Brisbane airport transfers, tours and group charters.